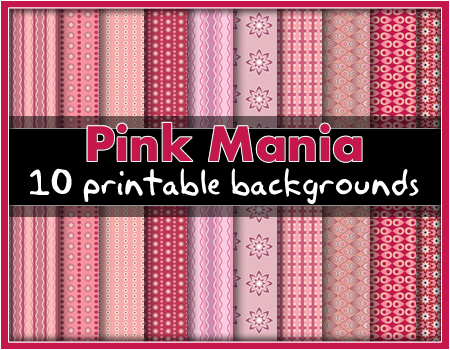 Printable Backgrounds: Pink Mania! | Print, Cut, Paste, Craft! 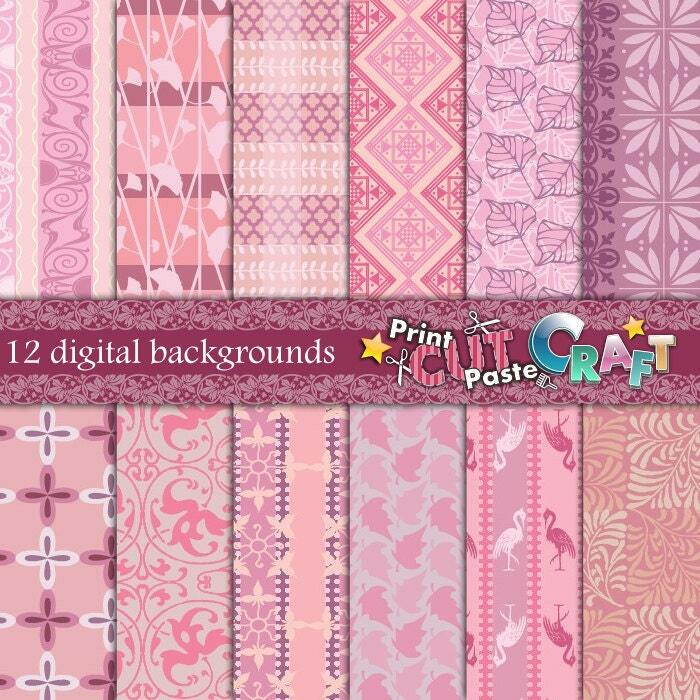 Here it is the first set of printable backgrounds for your scrapbooking creations! Click on the image to download the zip file. The artworks are in Letter format for easy printing. Ask me if your printer prefers a different format, as A4, A3, or 8×8 inches. Remember, you can download the files for free for personal use only – not for resale or redistribution. And if you wish to have more, check out our pink collection on Etsy Shop!